The following is a list of upcoming events that may be of interest to the ice coring and glaciological community. You can also view a listing of past events. We inform you that the third edition of STRATI Conference (STRATI2019) will be held in Milano (Italy), 2-5 July 2019, and we cordially invite you to contribute to this special session dedicated to the ice core community. The abstract submission for the forthcoming 27th IUGG General Assembly to be held July 8-18, 2019, at the Palais des Congrès in Montréal (Québec, Canada) is now open. 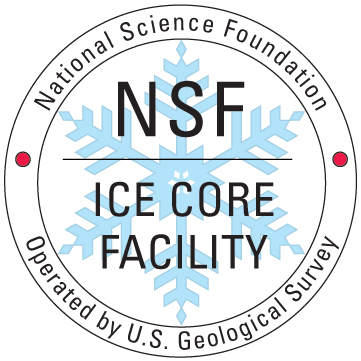 C06 "New Frontiers in Paleoclimate Reconstructions and Proxy Interpretations from Ice Cores". Contributions on different temporal scales spanning the past decades to glacial-interglacial cycles are encouraged. Description of Session: This session aims to provide new insights into how proxy-based signals may be controlled by large-scale atmospheric circulation modes associated with past climate changes. Despite the significant advances in proxy-based reconstructions and climate model estimates, issues such as spatio-temporal discrepancies in the proxy signals and good reproducibility of these climate reconstructions by models remain unclear. Resolving these issues is crucial to assessing the ability of specific proxy data to capture past climates and to provide tests for ocean-atmosphere general circulation models. We welcome studies of past atmospheric climate patterns during the Holocene over a range of timescales (annual to centennial), captured by any climate proxy type (marine and/or terrestrial). We encourage contributions that integrate both climate modelling and field/proxy data as a way to foster model-data comparison. The Geological Society of America (GSA) will hold its 130th Annual Meeting from 22-25 September 2019 in Phoenix, Arizona, USA. More information will be announced in 2019. Please follow the link for up-to-date information.